In one ad, O'Rourke accuses Cruz of "selling paranoia and fear instead of solutions." After keeping it positive on the airwaves for two months, Beto O'Rourke, the Democrat challenging U.S. Sen. Ted Cruz, R-Texas, has started airing TV ads against Cruz. On Wednesday morning, O'Rourke was running at least three ads across the state targeting Cruz on education, health care and immigration. Each 30-second spot focuses on one issue, and features O'Rourke speaking directly to the camera, criticizing Cruz on the issue and then offering his own view on it. The ads cap off a stretch of O'Rourke's campaign in which he has become increasingly critical of Cruz, who has expanded his lead in polls. 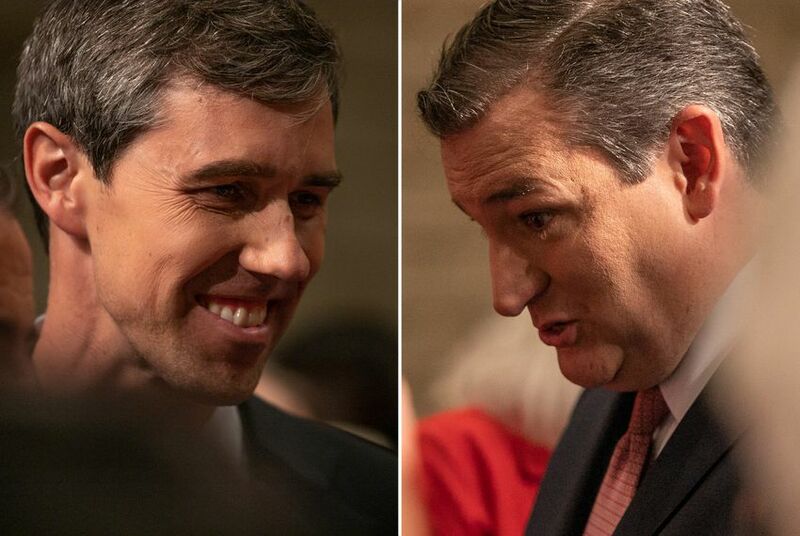 The El Paso congressman has spoken out against Cruz more vocally on the campaign trail, and O'Rourke amped up his rhetoric against Cruz at their second debate Tuesday night in San Antonio. Up until now, O'Rourke's TV ads have been predominantly positive, chronicling his travels across Texas and playing inspirational quotes from his stump speeches. At the same time, Cruz and his allies have buried O'Rourke on the air with attack ads, spurring O'Rourke to record a more recent TV spot that acknowledged the barrage but did not directly criticize Cruz. In all three ads airing Wednesday morning, O'Rourke mentions Cruz by name while pressing contrasts he has begun raising at campaign events in recent days. On immigration, for example, O'Rourke brings up Cruz being the only senator earlier this year to vote against starting a debate on legislation that would have addressed the "Dreamers," or young people brought to the country illegally as children. "He's vowed to deport every single Dreamer," O'Rourke says. "He's selling paranoia and fear instead of solutions." Cruz reveled in O'Rourke's change in tone, calling it the sign of a flailing campaign. "This morning the O'Rourke campaign unleashed the dogs," Cruz told reporters during a campaign stop later Wednesday morning in San Antonio. "It's clear ... their pollsters have told them they're in trouble, and so the decision they've made is attack and go ugly and nasty." O'Rourke says his campaign does not use pollsters, though Cruz claimed O'Rourke has "outsourced" the task to outside groups.